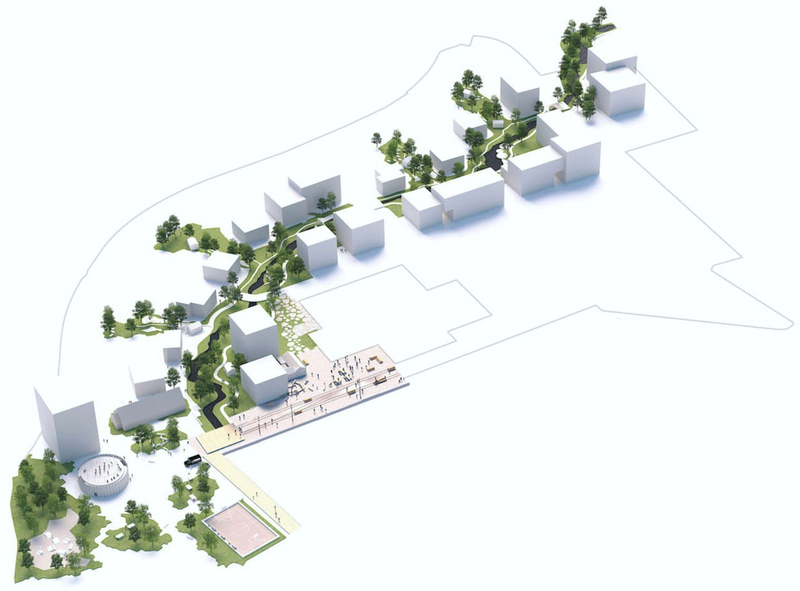 Today, the industrial area south of Nyborgvej is a secluded and unused part of town, but the new masterplan will transform the area into a vibrant and innovative environment. 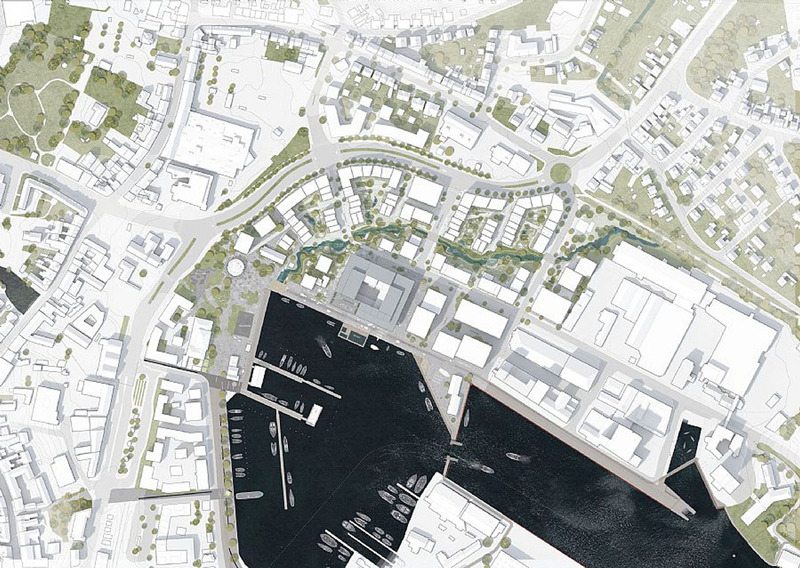 The masterplan connects the surrounding neighbourhoods together and establishes meaningful transitions from the city to the historic building structures of the harbour. 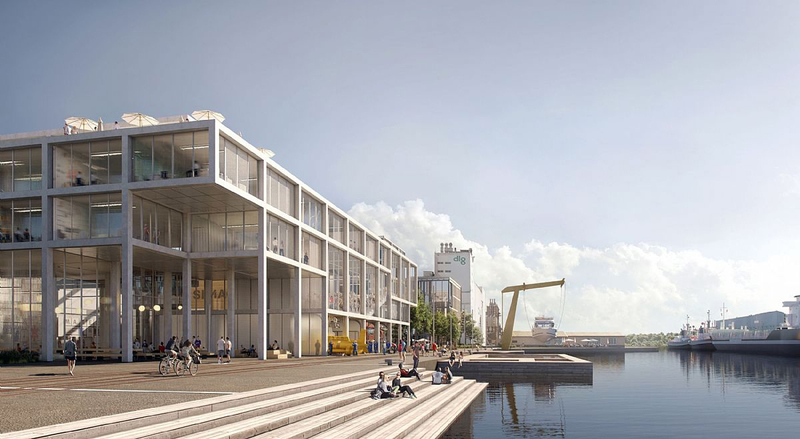 The new Svendborg International Maritime Academy (SIMAC) will be the focal point of the new harbour area, which builds upon the existing structures on the site and merges the harbour’s large structures with the diverse city structure of this historic city. 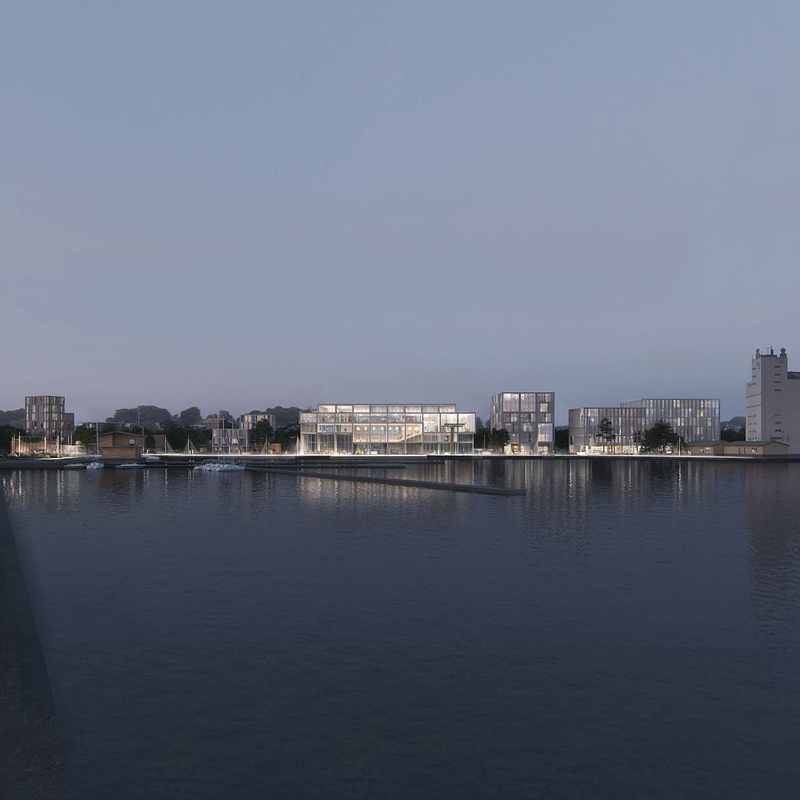 The masterplan is based on the municipality's "Port of Tomorrow: Development Plan for Svendborg Harbour", and provides for a diverse urban quarter with homes and businesses around the reopened stream Kobberbækken. 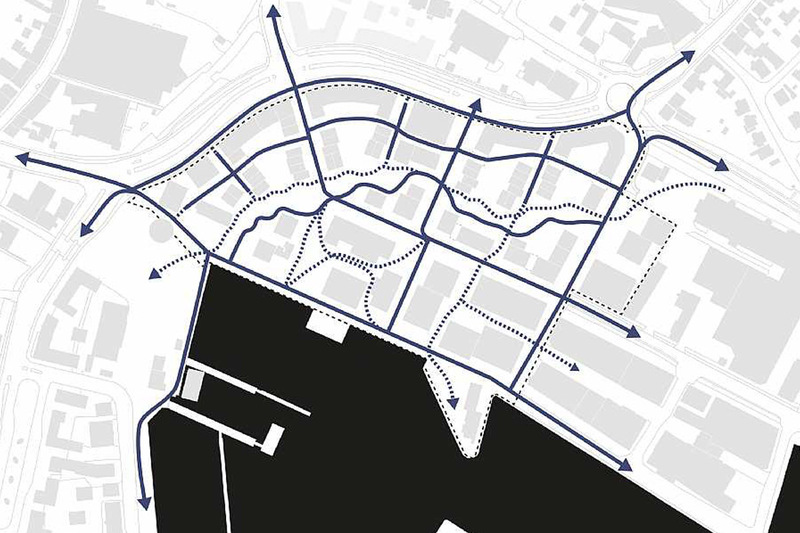 The new plan reflects the same scale as the city centre with its open spaces, squares, promenades and green urban areas. 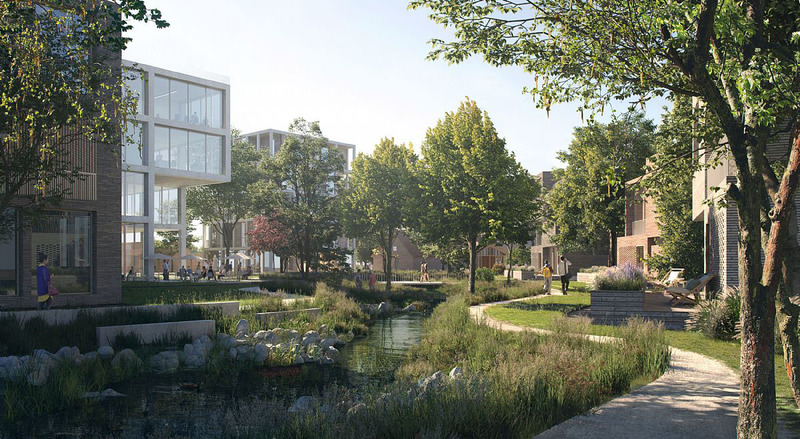 There will be terraced houses and 3-5 storey apartment buildings - all with a close relation to the green squares - along the scenic Kobberbækken. The freeing up of the river brings a number of possibilities, both socially and recreationally, which re-establish one of the city's most significant natural features. 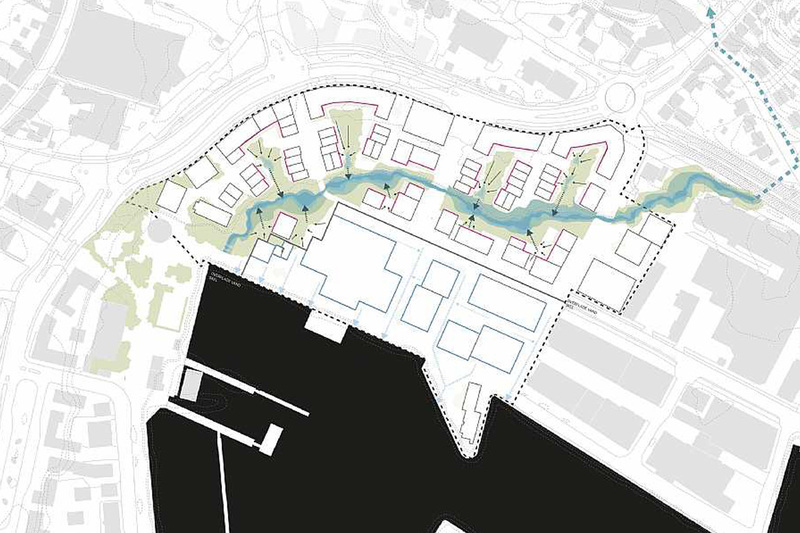 It creates natural rainwater management, green path connections, improved biodiversity and becomes an attraction for the new neighbourhood and homes around the North Quay. 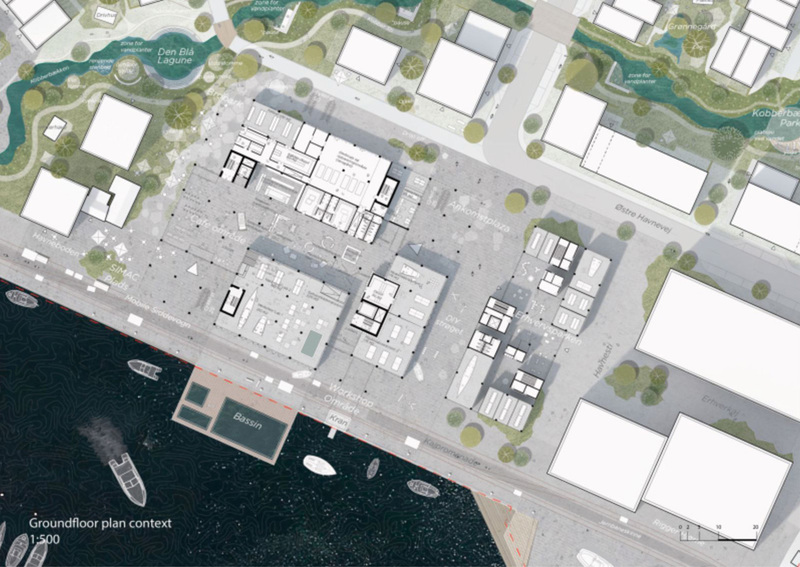 Cafes, restaurants and retail units are planned for the harbour promenade, but there will also be workshops and other types of outward-facing maritime businesses. The quay, the water and the adjoining urban areas invite a host of activities for both the city's residents and for students at the new SIMAC, which together with the existing listed buildings constitute a landmark on the waterfront. Alongside the new SIMAC, a maritime business campus will be opened for entrepreneurs with strong product ideas for the future maritime industry. 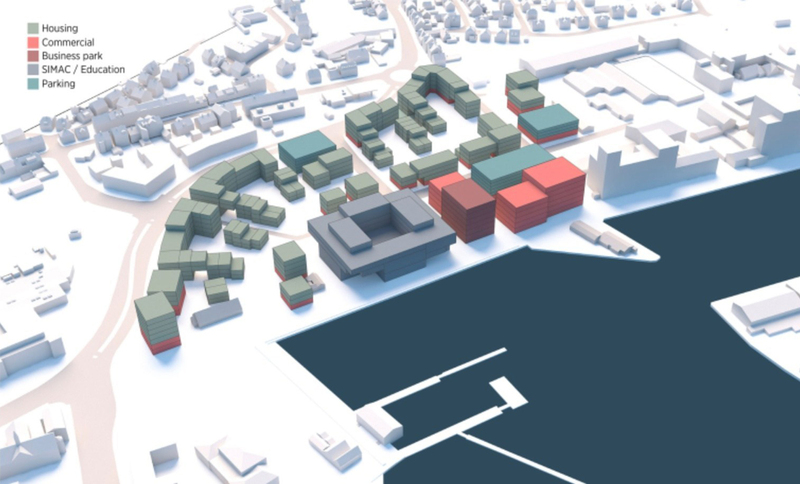 The business campus has direct access to a vibrant quay area with recreational areas with room for innovative projects and optimal places for interaction between the new SIMAC, business and Svendborg city. 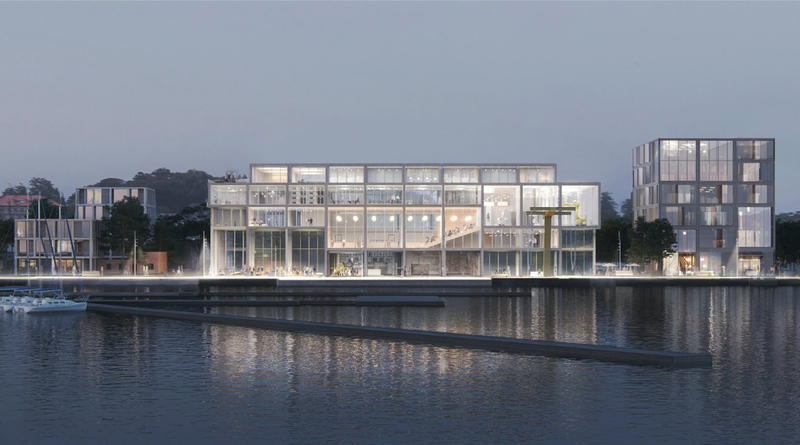 The new SIMAC in Svendborg will be Denmark's largest maritime education institution. With its flexible framework and utilisation of the harbour, it becomes both a beacon for modern education and the transformation from a completely industrial area to a new living district with education, business and recreational areas. 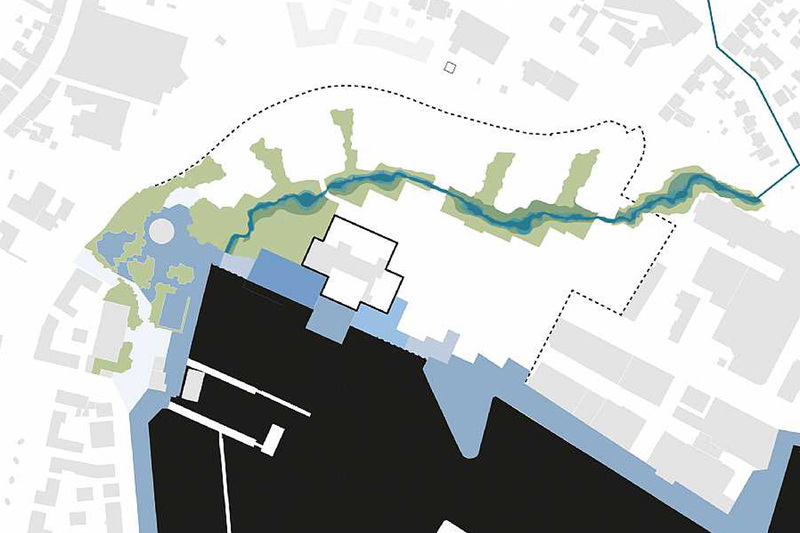 SIMAC is integrated into the course of the harbour promenade and the surrounding urban spaces. 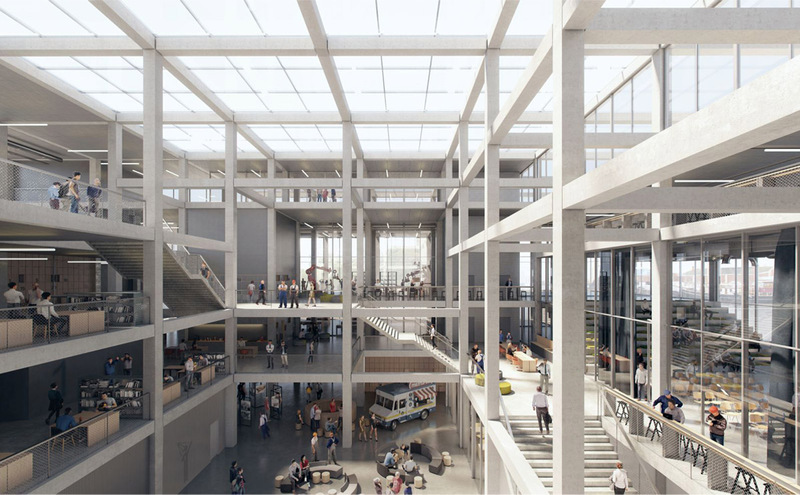 The building's floor plan is designed as a cross that forms a corner to four squares and opens up allowing public access to the communal facilities. The quay itself becomes an outdoor laboratory that highlights the school's work and maritime virtues.